1. Drain the tofu. 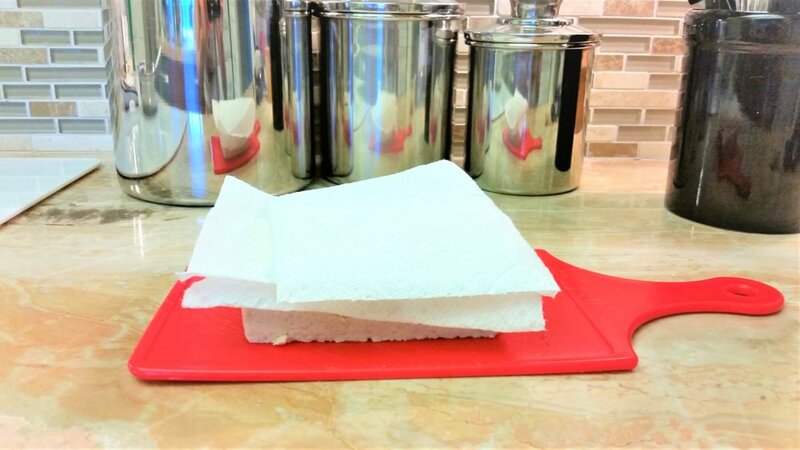 Pat dry the tofu with paper towels. 2. To make the marinade, whisk together 1 tablespoon of oil (reserving the other 1 tablespoon of oil for cooking later), the soy sauce, garlic, ginger, and black pepper in a medium bowl. Cut the tofu in half so you have 2 blocks, then slice into four blocks. Place the sliced tofu in the marinade and set aside in pan. 3. Toast sesame seeds. In dry pan, add the sesame seeds on medium to high heat until golden brown (about 5-10 minutes), shake pan often. 4. 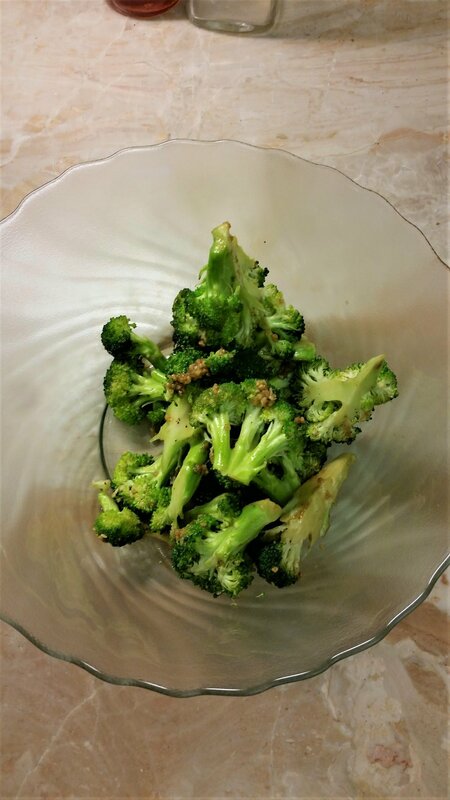 Pan fry broccoli in the tofu marinade (remove tofu pieces, place to side) for about 5-10 minutes . 5. Boil 2 cups of water, add olive oil, cumin, cayenne pepper, kosher salt add orzo on medium heat. Simmer until cooked, about 20-25 minutes. 6. Combine the flour and sesame seeds in a shallow dish; dredge both sides of each tofu piece in this mixture. Heat the remaining 1 tablespoon of oil in a large pan over medium-high heat; add the tofu and fry until golden on both sides, about 3 minutes on each side. 7. Remove tofu, add whole wheat orzo and broccoli onto plate and serve.